Weddings are always popular and most, if not all, bridal stores have been tasked with shipping a wedding dress to a bride’s town or to a destination wedding locale. Given the importance of the dress when the big day comes around, there is a huge incentive to make sure the shipping goes off without a hitch. So, how do you ship a wedding dress successfully? Read on. The first and most basic step when shipping a wedding dress is to make sure the box and packaging are done correctly. When choosing a box, sturdy corrugated cardboard is a good idea. Look for a box with a “burst strength” of 200 lbs per square inch or an equivalent. Ideally, the box will fit the dress size as much as possible in order to minimize possible movement. Use tightly-wadded craft paper, packing peanuts, or other soft materials to help fill in extra space should it be needed. Once folded, the wedding dress should be covered in plastic as a precaution against getting wet. 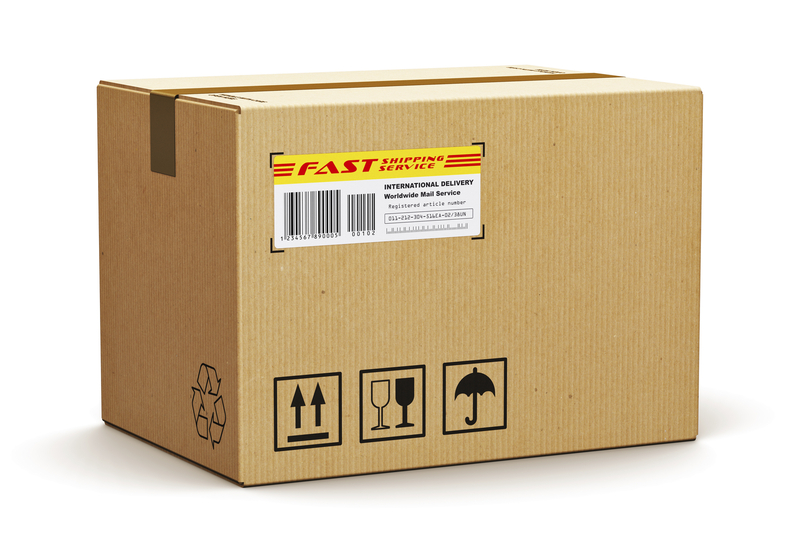 Place a duplicate shipping label and phone number inside the box before closing it up. Use mailing tape with a minimum width of two inches to seal the flaps and seams. The shipping label should be placed on the top of the box and not over a seam or on top of the tape. Additionally, it may help to write WEDDING DRESS prominently on each side of the box. People understand the importance of the dress to the bride’s big day and making sure the identification is clear can help encourage some extra attention and care during handling. Wedding planning is a stressful and sometimes chaotic activity. 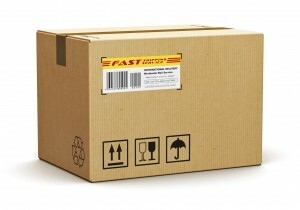 Among the many questions that need to be decided about venue, catering, and other organizational elements, the one query that shouldn’t be asked is: “Where is the dress?” Take advantage of expedited shipping in order to minimize downtime and the length the dress languishes in a pile with other boxes potentially stacked on top. Using a shipper that offers delivery tracking (ideally real-time tracking) means that you can give your customer accurate and up-to-date ETAs and status updates for their peace of mind. Performing a follow-up with the customer after the dress has been delivered provides your business with several benefits. First, it shows you care about them and have a vested interest in making sure everything went smoothly. Second, it can let you know about any problems there might have been with the delivery, such as the dress arriving later than expected or in a condition different than when it was packed up. This can let you make adjustments to the shipper you use and also offers an opportunity to help soothe the customer and maintain their good will. APS Fulfillment Inc. is a leading order fulfillment service company that operates out of Miami, Florida. Our integrative and careful approach will ensure that wedding dresses, or anything else, will get to their destination quickly and in top condition. We’ve stored, sorted, delivered, and quality-assured products of all shapes and sizes for all kinds of companies across a wide variety of industries. Contact us by phone at 954-582-7450 or reach out to us by email at [email protected] for more ways our fulfillment services can support wedding dress transportation.